The thing is that to make the mushroom stock I used a lot of mixed dried Asian mushrooms, and I had a bit leftover, so I decided to use them to make dumplings. Place the mushrooms, tofu, coriander, soy sauce and sesame oil in a food processor and pulse until you get a fine texture. Add the bread crumbs a little at the time to reach a workable thickness (the other ingredients have high liquid content). 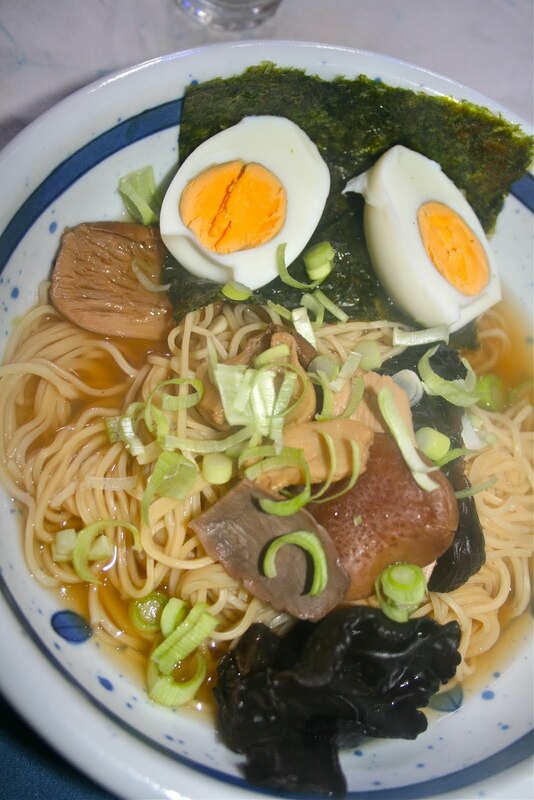 I add bread crumbs also because they give the filling a nice and balanced taste, bringing out the Umami in the other ingredients. Here my 11 years old daughter took over the camera for the first step by step pics. If you can, try to make them look pretty! Now Arantxa has a go! We had 50 dumplings to make, so it is good to do it with someone, or it gets boring! Personally I really like steamed dumplings, or cooked in a soup, but we had soup the night before, and my family really liked them fried... but I didn't want to fry all those dumplings (too greasy) so I opted for a half-way. In Japan they make Gyosa, also called potstickers, you cook them quickly in a hot pot with very little oil. Place them in the hot pot standing up so that the bottom get golden and lightly crunchy, then turn them on both sides (I did 25 at the time and it was hard work!!!). At the end you are supposed to put a lid on and let them simmer in their own steam for a few seconds, but because I had so many dumplings I pan fried them in two batches, then put them all back in the pot and added just a little water to create more steam. Lid on for a minute and they were ready and piping hot. We ate them with sweet chilli sauce and soy sauce, very filling, 50 between 4 people and our bellies were round, and satisfied! Ma che belli!Solo che qui la pasta mi sa che non la trovo..dovrei farmela da me...Sai che in Jamaica i dumpling erano delle frittelle di pasta? In alcuni posti i dumpling sono pure gli gnocchi! Great dumplings! That filling must be very flavorful. Lo, e' anche dietetico, quasi solo proteine e niente grassi (a parte pochissimo olio). What a neat preparation of dumplings.I never thought of using mushrooms as a filling..so I will steal :) your idea once I make them nxt. Thank you so much for this. I am always happy to see the pictures of the process, it is so useful! :) You have won me over, and have a new follower! Ooooooooh, dumplings! I never met a type of (vegetarian/vegan) dumpling I didn't like and these look fabulous. But seriously, didn't it take you for ever to make those 50 dumplings? Mary-Laure, yes it took a while, but you get faster with practice, and it was worth it! Vic, your deli slice is great! I love dumplings, Alessandra. These look delicious - and so many! 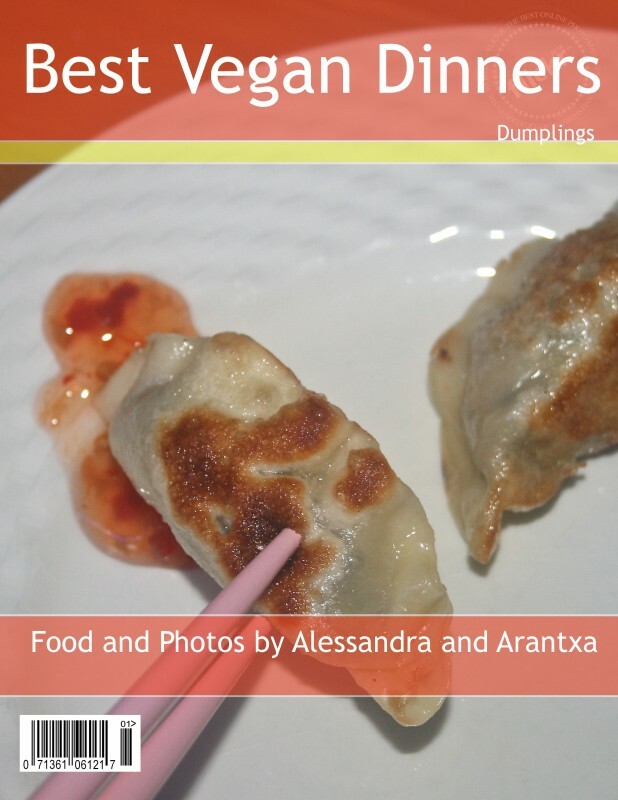 Your dumplings are so pretty and they look delicious too, Alessandra :)! I am not vegetarian, but I've tried vegetarian dumplings and I love them too :)!